Coca-Cola needs to show consumers (and investors) that the company is more than just a maker of sugary sodas. 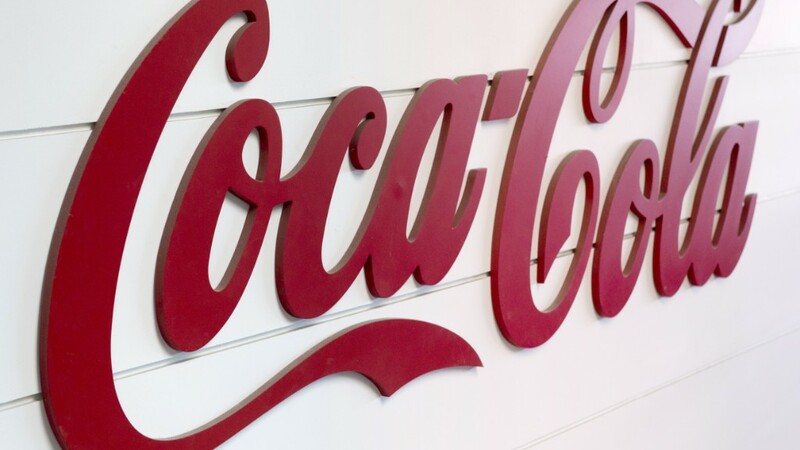 Could food and booze soon be part of the Coke brand family? James Quincey, who took over as Coke's CEO from longtime chief Muhtar Kent in May, will show Wall Street what the company is planning to try and boost growth on Thursday afternoon when he and other executives hold a critical investor day presentation. Coke's stock has done well this year -- it's up more than 13%. But that still lags the broader market's gains. What's more, if you take a step back and look at how Coke (KO) has done over the past two decades, shares have barely budged while archrival Pepsi (PEP) and the S&P 500 have soared. It's easy to see why Coke has struggled. Sales and profits haven't been growing all that much. And there's been a backlash to both full-calorie sodas as well as some of Coke's diet drinks due to the use of artificial sweeteners. Diet Coke's sales slide has been particularly problematic. That's why Coke began to transform into more of a diversified beverage giant, as opposed to just carbonated colas, under Kent's watch. Kent was CEO from 2008 until earlier this year and the company's chief operating officer before that. (Quincey was also Coke COO before getting promoted.) Coke started to push its bottled water brand, Dasani, more aggressively. Coke also bought vitaminwater maker Glaceau in 2007 while Kent was COO and then purchased stakes in K-cup coffee maker Keurig Green Mountain and energy drink leader Monster Beverage during Kent's tenure as CEO. But what's next for Coke under Quincey, who has promised to turn Coke into a "total beverage company?" For starters, investors will surely grill Quincey about whether Coke plans to buy the remaining stake in Monster Beverage (MNST). There has been constant speculation about a full-blown takeover ever since Coke first invested more than $2 billion in Monster in 2014. That's led to speculation that Quincey may want to promote Topo Chico even more nationwide in an attempt to steal the thunder from National Beverage's (FIZZ) super popular LaCroix brand. In just past the few years, Hershey (HSY) bought jerky snack maker Krave, ConAgra (CAG) acquired Boomchickapop parent company Angie's Artisan Treats and Kellogg (K) gobbled up Chicago Bar, the owner of the RXBar protein bar. Zuanic also suggested that Coke could consider buying a coffee chain like Dunkin' Donuts. It makes some strategic sense. Coke is already producing and selling Dunkin'-branded iced coffee beverages in supermarkets. But Coke could find some competition if it wanted to buy the doughnut company's parent Dunkin' Brands (DNKN). There is speculation that JAB might be interested. Still, the potentially most lucrative, albeit controversial, move that Coke could make is to graduate towards more adult beverages and make a big push into alcohol. And why not? Jack Daniel's and Coke is already a popular bar staple after all. But whatever it is that Quincey touts to Wall Street, it's clear that Coke must do more to boost sales or it could find itself vulnerable to a takeover. Zuanic speculated that Anheuser-Busch InBev (BUD) could be a natural buyer. A-B InBev is backed by private equity giant 3G, the company that has done several partnerships with Warren Buffett, whose Berkshire Hathaway (BRKB) firm just so happens to own 400 million Coca-Cola shares. Buffett, a diehard Cherry Coke fan, would likely jump at the chance to own Coke outright if a deal made financial sense -- but it probably wouldn't unless Coke stock continues to lag the overall market.